*Actual On Road Price of Triumph Bonneville Bobber at the dealership may vary. 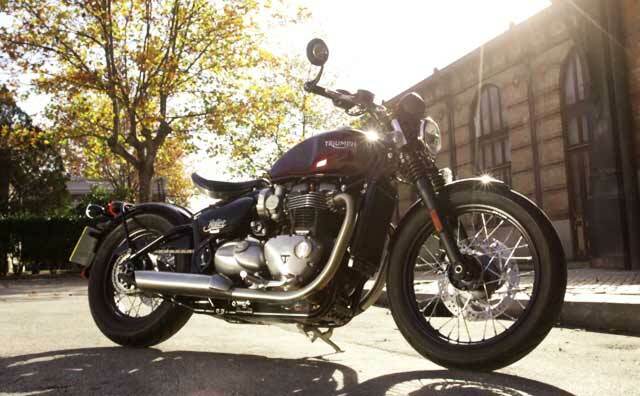 The Triumph Boneville Bobber is the latest model to be added to Triumph’s Modern Classic range of bikes in India. As the name suggests, the design of the Bonneville Bobber has been inspired from the old Bobber motorcycles of 1940s. The gorgeous minimalist design and the retro-themed look of the Bonneville Bobber evoke a sense of romanticism. The Bonneville Bobber gets a 1,200 cc parallel twin engine which is liquid-cooled and makes max power of 76 bhp at 6,100 rpm and peak torque of 106 Nm at 4,000 rpm. Also, the Bonneville Bobber has cleverly concealed its modern bits. It gets a ride-by-wire system and two riding modes in Road and Rain. The single pan seat hides the monoshock, giving it a hard-tail look, thus, keeping it in line with the old Bobber bikes. The Bonneville Bobber will go head-to-head with the Harley-Davidson Roadster.